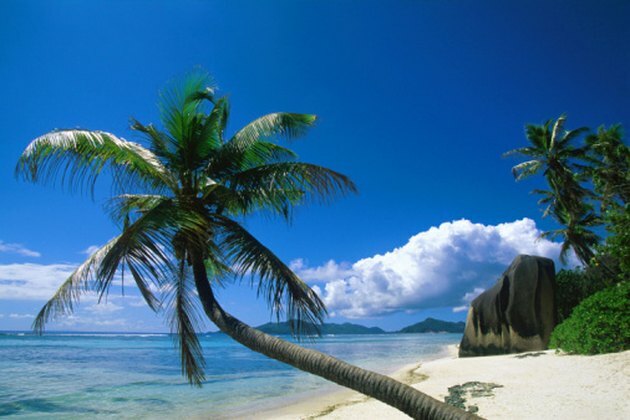 What Is the Climate for the Coconut Tree? The word cocos -- the botanical genus name for the coconut tree -- is a Portuguese corruption of an aboriginal word for monkey. Across the South Pacific, native peoples thought that the three black depressions on the coconut nut resembled the basic face of a small monkey. The precise origin of the coconut palm is obscure, since it was cultivated and spread around the tropical world so early in history. Botanists tend to agree it likely originated on the sea coasts in the extreme southwestern Pacific. The coconut palm is a foremost romantic image of the tropics. 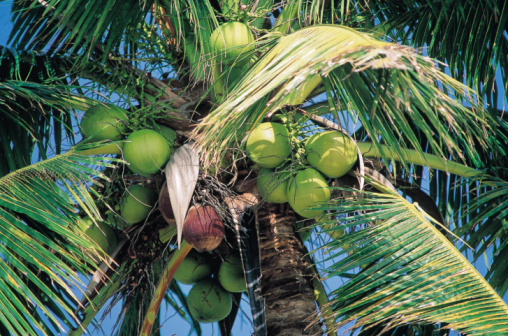 Coconut palms tolerate wind, heat, sandy soil and salt spray. 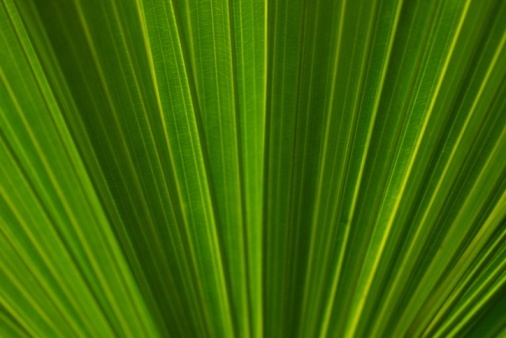 Coconut palms tolerate some drought, but overall are moisture-loving plants that grow in sandy and loamy soils. They grow beautifully in any tropical climate that provides at least 25 inches of annual rainfall, up to 157 inches. Ambient humidity and abundance of rainfall is required during the warmest parts of the year when the sunlight intensity is strongest. Climates with warm, rainy winters and hot, humid and rainy summers are ideal. Coconut palms will also grow in frost-free climates that are warm or hot and sometimes arid -- cycles of tropical wet and dry seasons -- if irrigation is provided at appropriate times. Coconut palms prosper in a tropical region that receives 47 to 94 inches of rainfall a year, primarily from spring to late fall. In the winter dry season it should get no colder than 71 degrees Fahrenheit, and in the summer rainy season no hotter than 93 degrees. 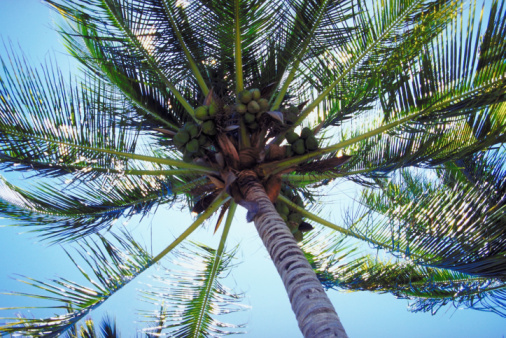 An established coconut palm will tolerate temperatures down to 30 degrees, but if the growing tip on the top of the trunk is frozen, the palm dies. Arid and cold air prematurely dries out the coconut palm's fronds. Moisture is needed in summer for palm flowering and development of fruits. Coconut palms grow outdoors only in USDA zone 10 and warmer, where the winter low never reaches 32 degrees Fahrenheit. In the western United States, highly variable elevations and the moderating effects of the Pacific Ocean dominate and make the use of USDA zones difficult. Sunset climate zones are used instead. Coconut palms are rated for outdoor growing only in Sunset zone H2, which only includes Hawaii at elevations below 2,000 feet. Coconut palms will grow indoors if adequate bright light is provided through a large glass-paneled roof or structure. Young seedling coconuts, when less than 8 feet tall, may be grown temporarily in homes near a sunny window. Otherwise, the only facilities large enough to grow a coconut palm to a size that flower and fruit production occurs is a conservatory or atrium. In the mid-latitudes, from 23 degrees to roughly 60 degrees latitude, coconut palms receive enough sunlight intensity under glass to survive. The facilities must mimic the temperature and rainfall conditions present in tropical climates. Can Coconut Palm Trees Grow in Arizona? How Fast Does a Coconut Palm Tree Grow?